It's pretty nicesubmitted by Benton D. - Apr 04, 2019 |Recommended: YesIt has a lot of benefits and rent isn't too expensive. Love the staff and all the amenitiessubmitted by Mackenzie L. - Mar 13, 2019 |Recommended: YesIts very fun and alot of my friends live here which makes it easier to hangout. Also super nice on game day. Worth the price for leasing.submitted by Gretsky S. - Mar 07, 2019 |Recommended: YesI would tell them it is a solid place to stay whilst going to school or some other type of education. It's a really nice place.submitted by Marie-Rose T. - Feb 03, 2019 |Recommended: YesVery spacious and comfortable. 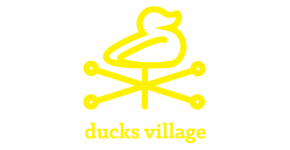 Clean-Safe-Feels like homesubmitted by Jimmie P. - Jan 14, 2019 |Recommended: YesFrom the moment I placed the call to inquire about a lease the staff at Ducks Village have been so helpful with walking us thru the process to moving in day was so much fun We really enjoy all the activities they have for the students. I would highly recommend this place to be your first choice to lease Very clean and safe also walking distance to those epic games at Autzen. Best value for my money.submitted by Shea C. - Dec 26, 2018 |Recommended: YesIt is very quiet for student-based living, apartments are spacious and cozy. You will not find a better deal anywhere else. Nice place, with a good location.submitted by Emma L. - Dec 25, 2018 |Recommended: YesThe place is very nice with helpful staff, but there are a few minor damages that were made by the privies renters in the apartment that aren't maintenance worthy but effect the look of the interior. But this is my only complaint, staff is helpful and attentive and the amenities are great. As well as location, with a bus line for campus right out side the apartment, as well as so close to so many shapes and restaurants. Great experience so farsubmitted by Fatoumata T. - Dec 16, 2018 |Recommended: YesGreat community so far. Feel safe compared to other properties I have seen. It's a doable living situation for 20 year oldssubmitted by Emma P. - Dec 13, 2018 |Recommended: YesFor being one of the cheaper options for student housing in Eugene, I am impressed. Upon move in there wasn't too many big issues with our apartment. We did have a leaky fridge and our oven was not working properly upon move in, which probably should have been looked at prior to us moving in, but you get what you pay for. The maintenance staff was quick to fix our problem, so that was nice to see. One thing that did irritate me upon move in was the amount of dirt on the floors and the all the dust and outdoor debris on the porch. Everything in the apartment was superficially clean, but after mopping our floors for the first time shortly after move in, it was apparent that the floors had not been deep cleaned in a long time. Also our porch was just so dirty that it's not even pleasant to go out to. Being a college student's apartment complex, I feel as though they rely on the student's who live here being naive to how a rental should be prepared upon move in. I know this has all been negative so far, but there are a lot of positives. The bus stop is not far and the bus to campus comes about every 1 2 hr which makes it super convenient to get to school. The complex offers free parking to their residents and doesn't go around ticketing visitors 24 7 like most other complexes. The gym in the complex is small, but it is perfect for what I like to do and the hot tub and pool are also nice amenities to have. The apartments themself are sizable for the price you pay and they come furnished which saves a lot of money. Overall, I think it's a fine first apartment and in comparison to the other more expensive complexes in town, it wins by a long shot. From what I have seen the expensive places may appear nicer, but they have just the same amount of problems if not more than this place. Save yourself some money and move here.